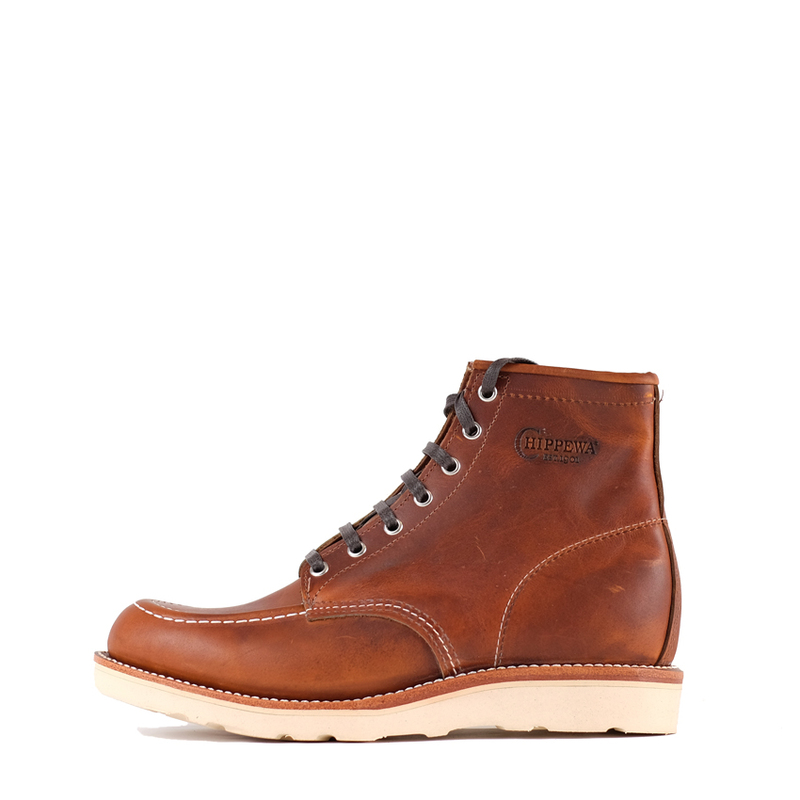 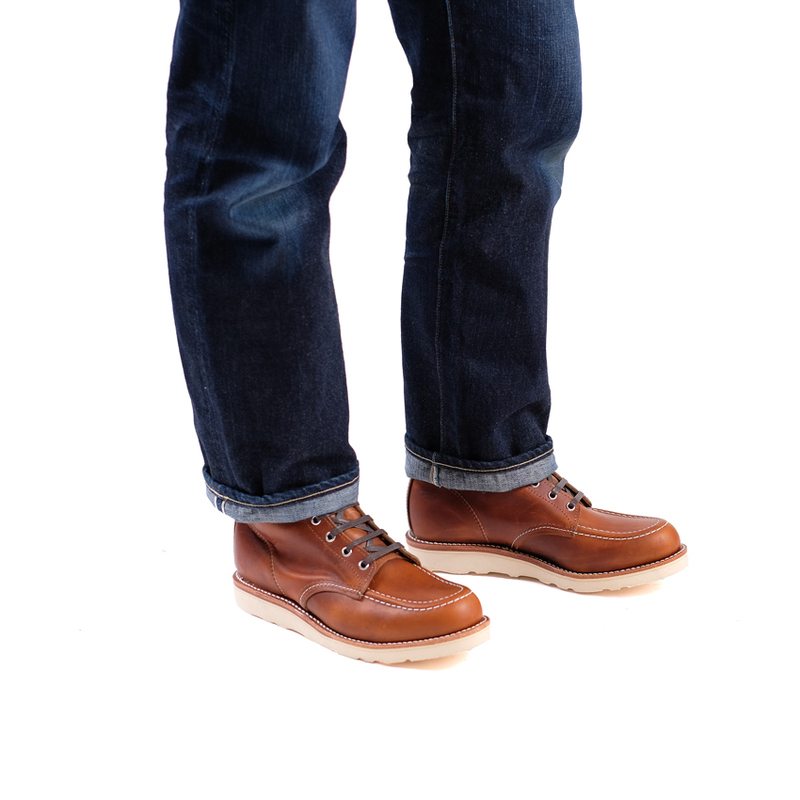 The Chippewa Moc toe wedge boots are the type of boots that you’ll end up wearing with a lot of your wardrobe, a go to boot for day to day wear. 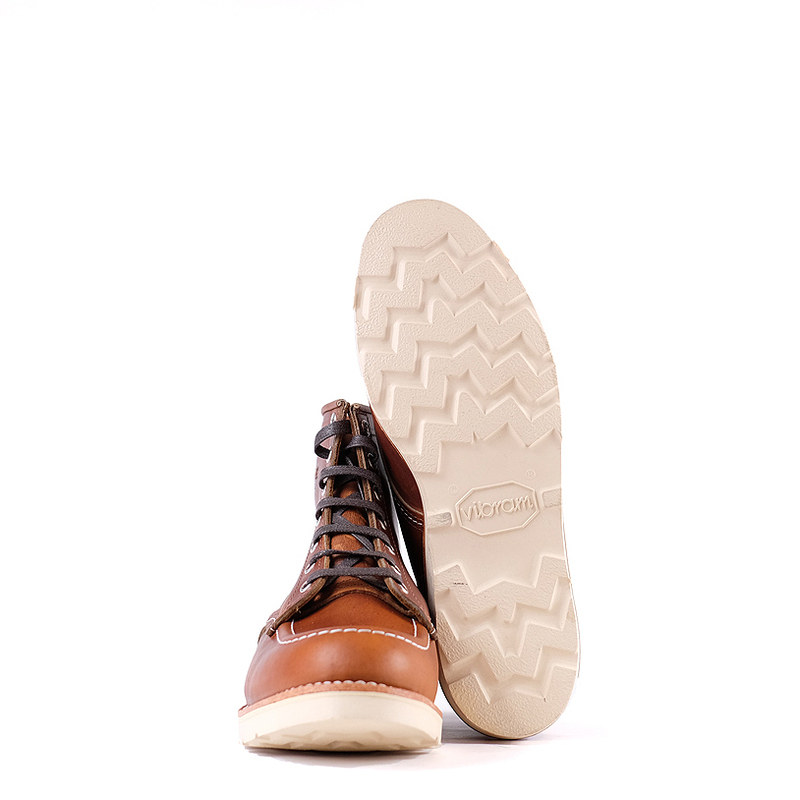 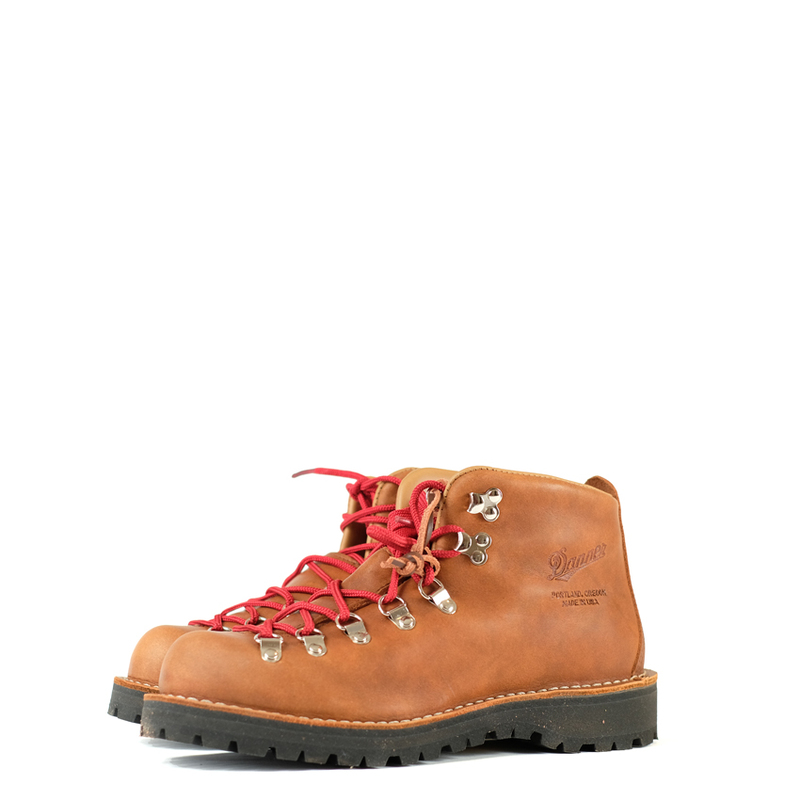 The are very comfortable due to the Vibram christy sole and Texon Peron insole which both add some cushioning to your walk and although they are made from a sturdy leather and have a steel shank for support they are very lightweight. 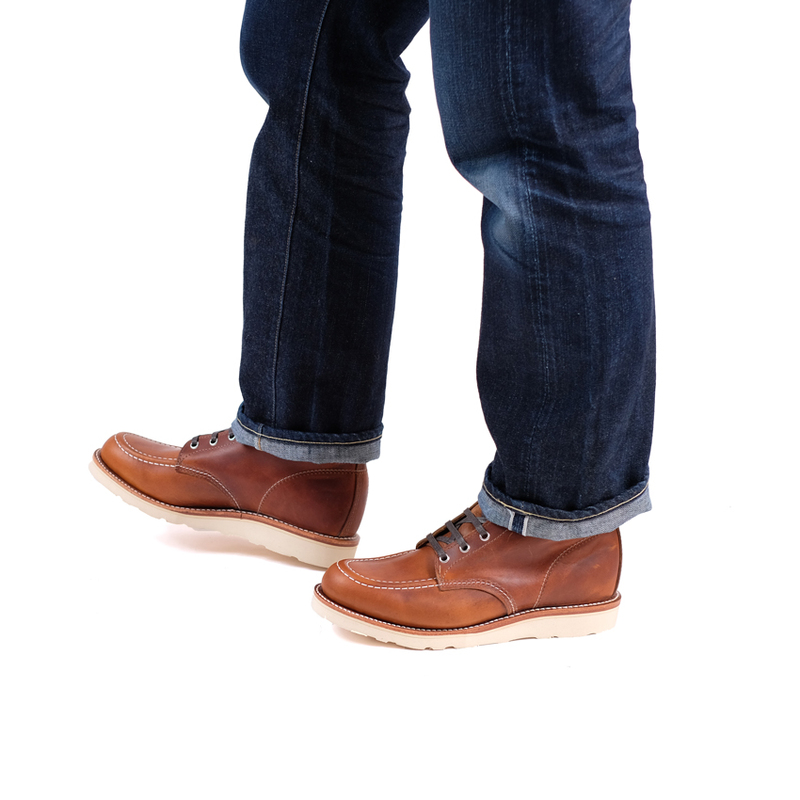 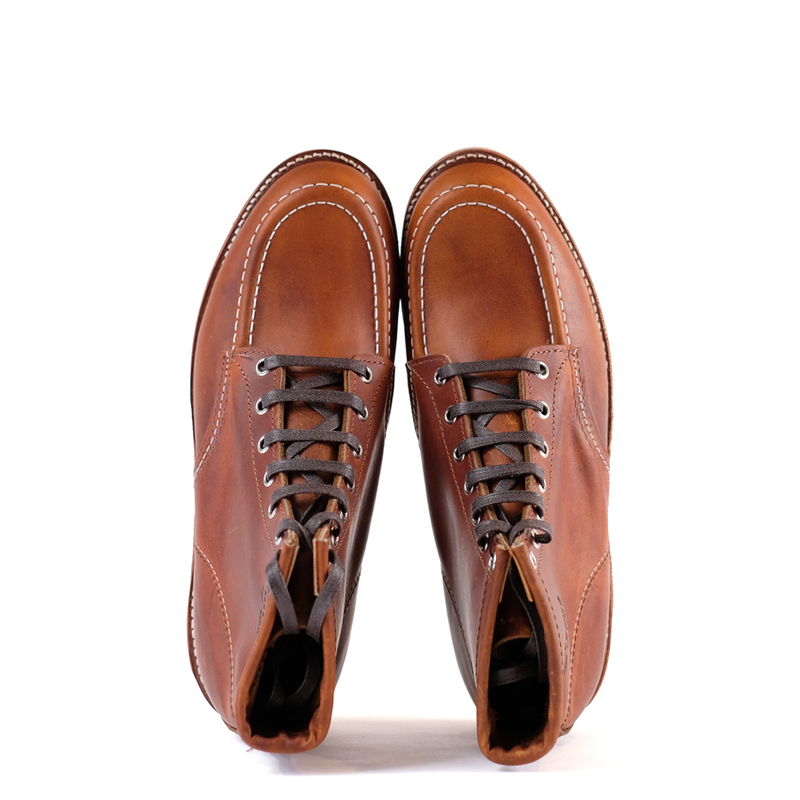 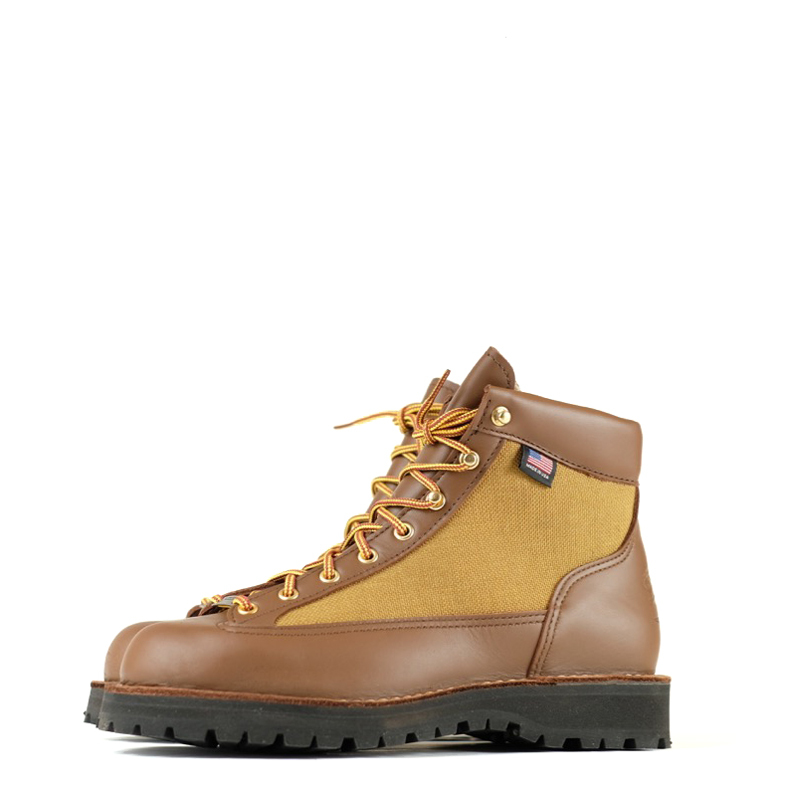 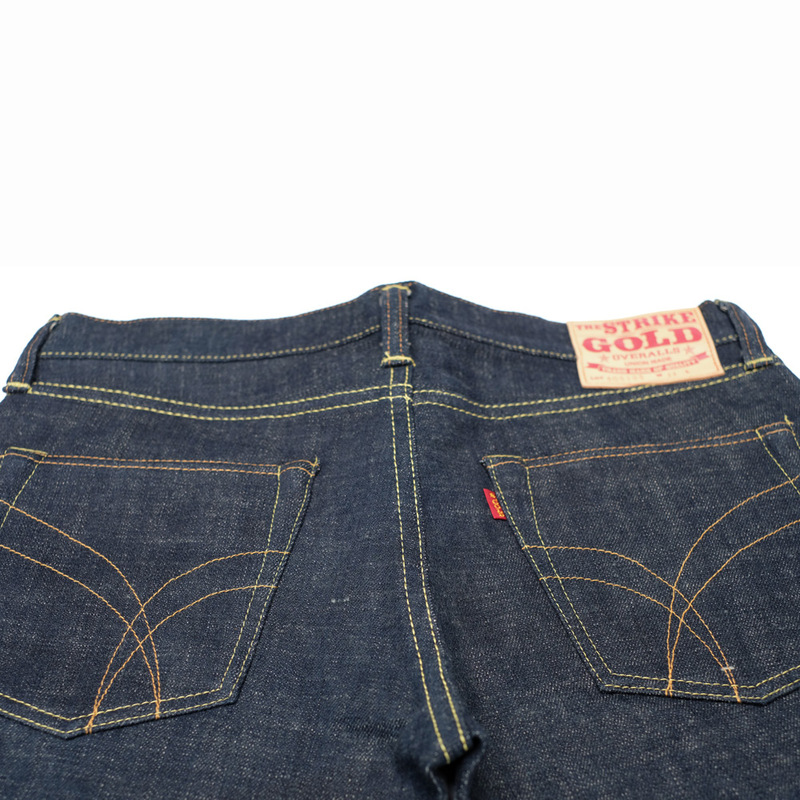 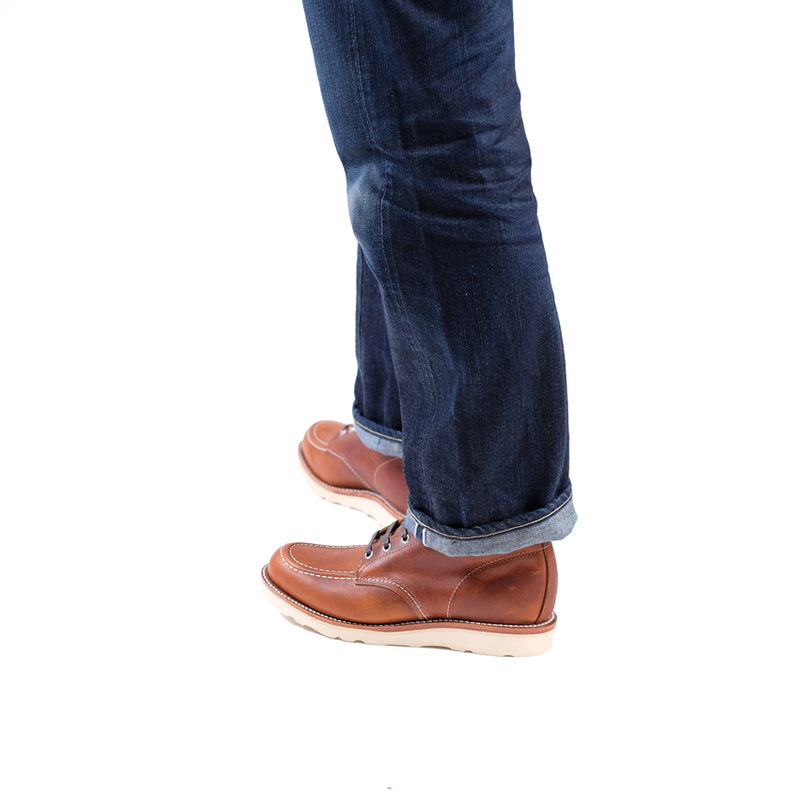 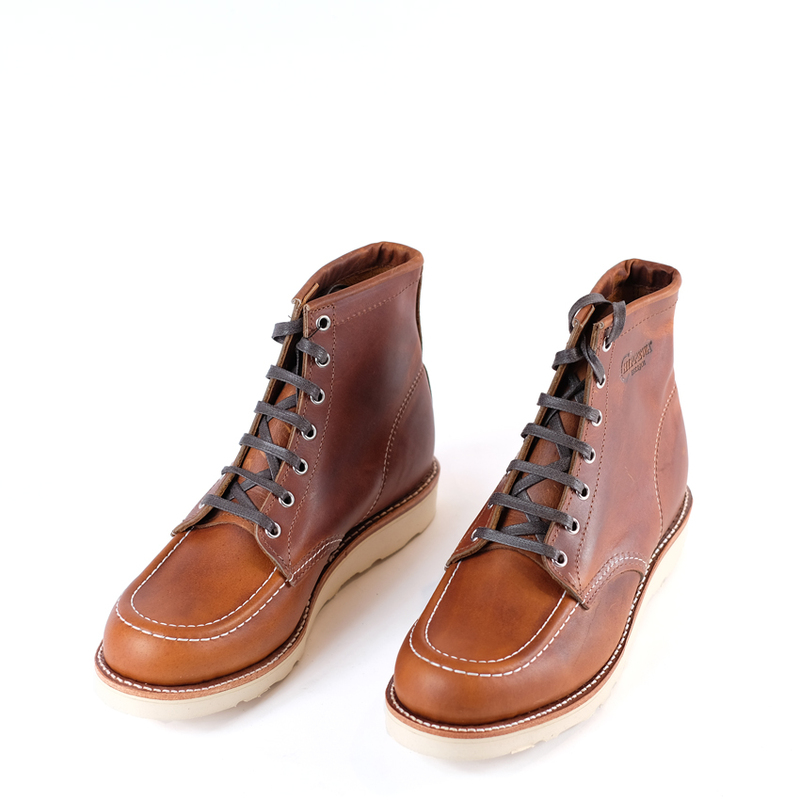 Handmade in the USA, the are immediately comfortable, fully rebuildable and will look great with age. 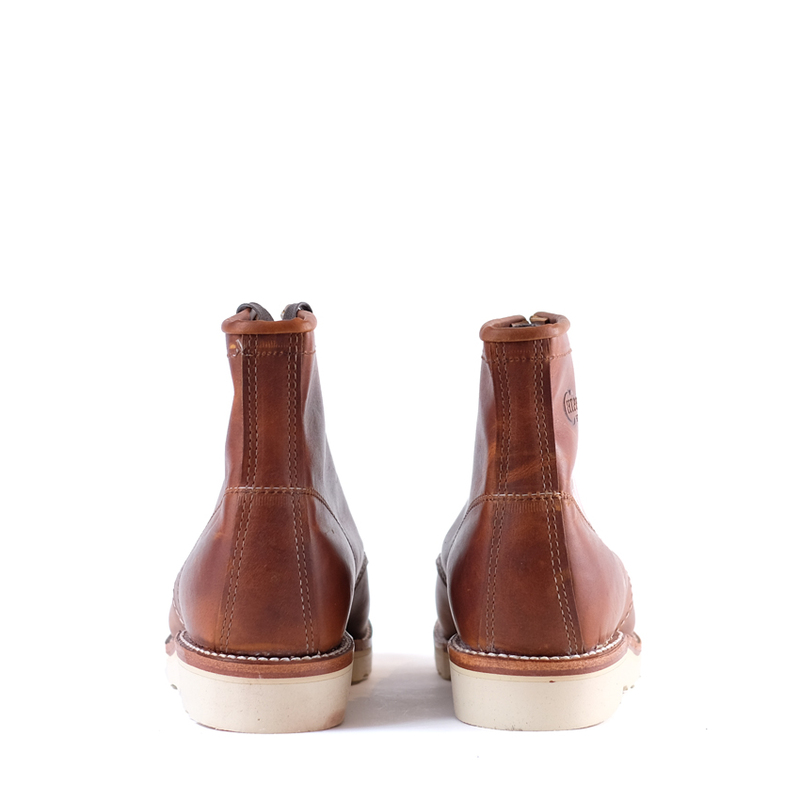 A great one for those that like a wedge!